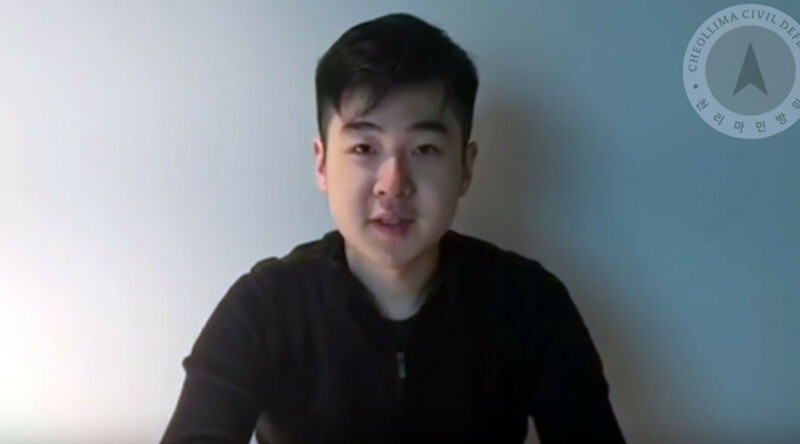 The man claiming to be the son of assassinated Kim Jong-nam, half-brother of North Korean leader Kim Jong-un, has addressed the public in a video posted online by a group which claim to focus on rescuing North Korean defectors and refugees. “My father has been killed a few days ago. I’m currently with my mother and my sister,” the man can be heard saying in English after identifying himself as Kim Han-sol. The video becomes muted and his mouth covered when he talks about whom he and his family are “very grateful to”. Details on his North Korean passport are also blocked when he shows it to the camera. They claim the family members were taken to safety adding that: “This will be the first and last statement on this particular matter, and the present whereabouts of this family will not be addressed." The group, which the Malaysian police told reporters they are not aware of, thanks the Netherlands, China, the US and a fourth government that would “remain unnamed” for humanitarian assistance in the matter. “We, and those we help, recognize with gratitude all who stand with us on the right side of history.” they said. The whereabouts of the family of Kim Jong-nam has been unknown since his death in a Kuala Lumpur airport. The incident has caused tension between Malaysia and North Korea, with the latter heavily critical of Malaysia’s investigation. Social media has seen comparisons between the possible re-emergence of Kim Jong-nam’s son and a plot from ‘Star Wars’ or ‘Game of Thrones’.